We collect here the brands of Japanese traditional crafts and home decor. Our buyers see and touch the items and select products. Simple and modern design with inherited skill of craftsmen won Good Design Award and other design awards in the world. 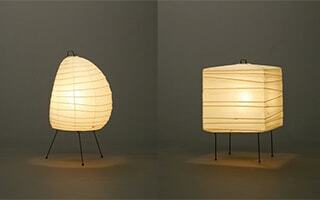 Japanese manufacture is not only beautiful but also functional. The more you use items, the more you become fond of it and love it forever. Traditional craft, tableware and home decor are only one handicraft in the world filled with thoughts and stories of craftsmen. Japanese masterpiece makes us imagine their background. Authentic Japanese items will make our life a little more careful and creative. 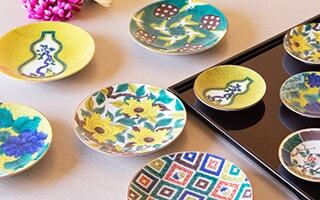 Stylish Japanese tableware and home decor would be great gifts or memento. Here, let us introduce selected brand of traditional crafts and home decor. 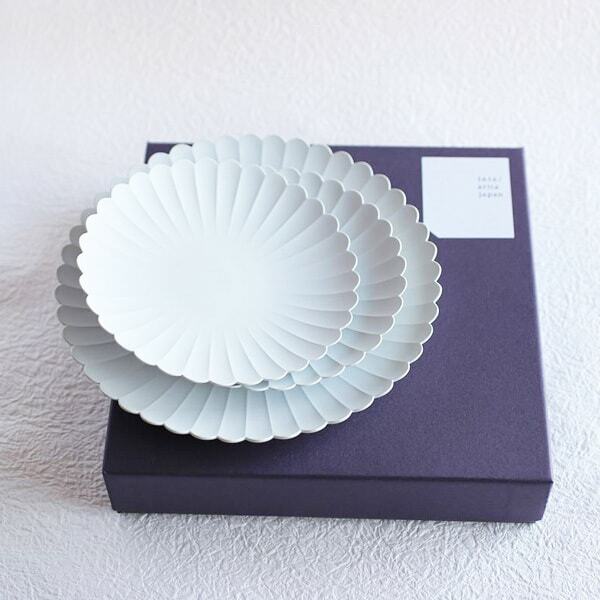 The product of 1616 / arita japan is said that it is "too beautiful porcelain". It is a domestic brand that has attracted attention in Milan Salone. 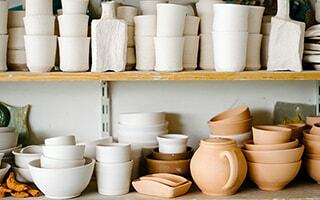 History of porcelain, which continued from 1616.How about you try using the traditional crafts at the table? 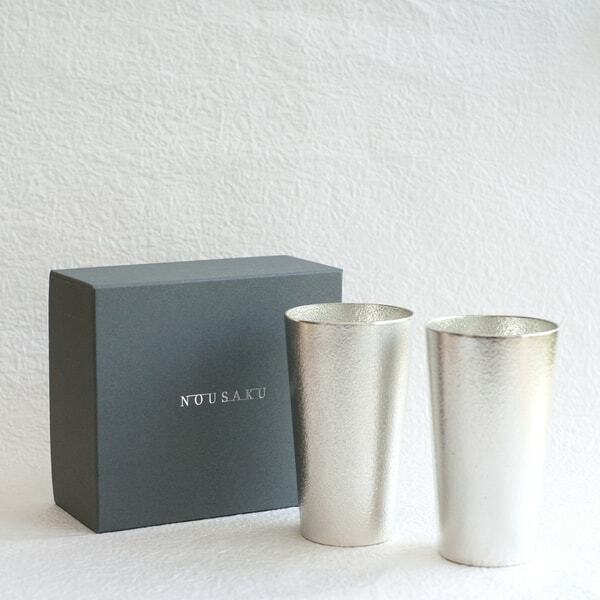 Nousaku is a top brand of metalworking in Toyama city. They continue to produce artistic products with bendable tin. The items are not only traditional crafts, but also artwork. Designers around the world are fascinated by their design and detailed work. Azmaya is a producing brand. 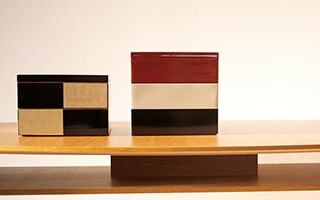 Azmaya collaborates with many Japanese traditional ateliers or designers to create Japanese modern products. The popular items are Inban series. Beautiful porcelain with white and blue colors. Also, their Nanbu tetsubin is famous for its design and function. 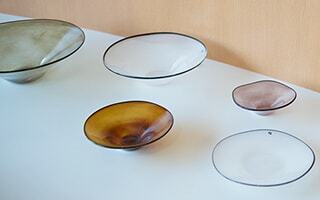 Continued from 1899, it is a long-established glass studio of Tokyo Kinshicho. Glasswork by skilled craftsmen. Mind is peace just looking at the product. 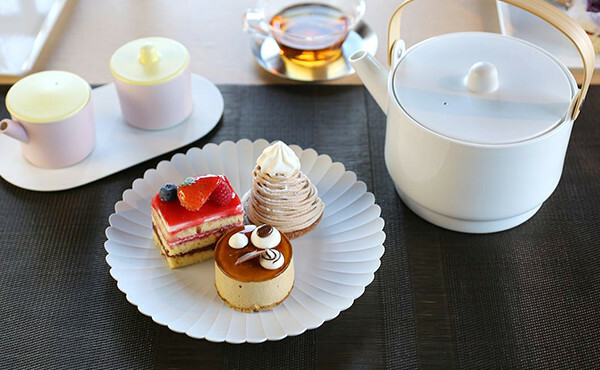 Iron tableware that fits our lifestyle of modern times. It is manufactured by hand at the famous Yamagata Prefecture Yamagata casting. 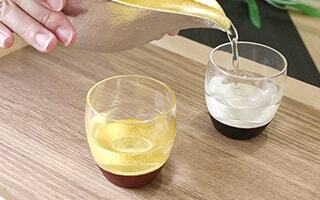 Wooden tableware and lacquerware of Gato Mikio Store have got attention from the world. 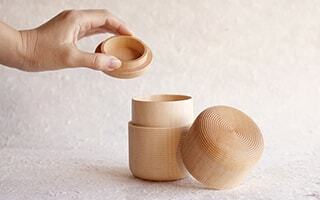 Their wooden tea canisters won Good Design Award. Gato Mikio is a big brand of Yamanaka lacquerware. 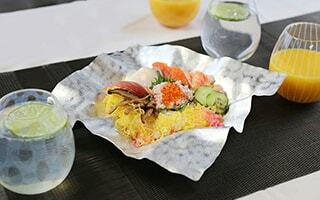 Flexible dish "Suzugami" has attracted attention. Since 1909 its inception, the production specializes in phosphorus for the temple. This brand has produced a product that takes advantage of "tapping a hammer" technology. 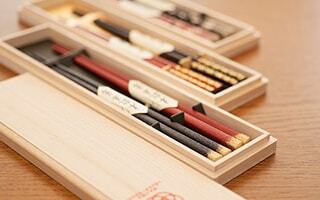 This brand is a lacquer workshop making the production of lacquerware in Shizuoka. Shizuoka is famous for Suruga lacquerware. Painted lacquer to glass "lacquer GLASS" is beautiful. 100 percent is a product brand that produces “only products that we do want to make by all means.” Impressive design items provide happy surprise to our daily life. Unique design has been got attention from the world. 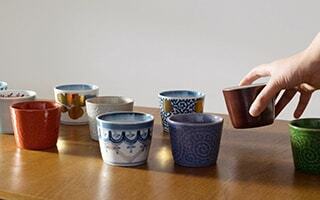 Soukyu porcelain is a pottery of Kutani ware in Nomi city of Ishikawa prefecture. Mr. and Mrs. Sakurai produce cute Kutani porcelain plates with inherited 5 colors of Kutani, Red, Yellow, Green, Purple, and Deep blue. Traditional but modern design have attracted us. Seikou porcelain opens its kiln about 100 years ago. 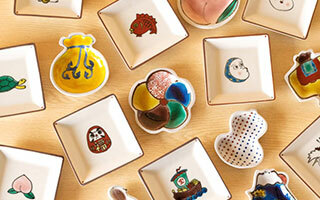 Cute mamezara and elegant Ko Kutani-like plates are popular. 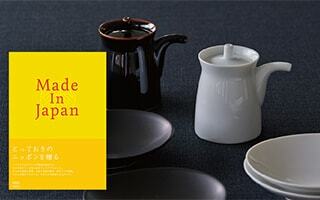 They propose useful and stylish Kutani ware to modern life. 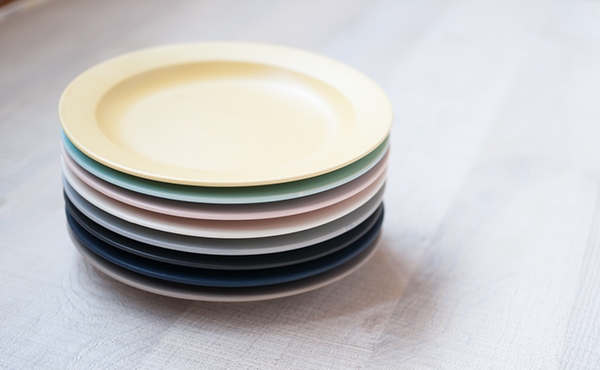 Modern but traditional plates can be beautiful home decor as well. Sghr, or Sugahara has its glass studio in Kujukuri in Chiba prefecture. They handmade all products with deep appreciation for natural materials. 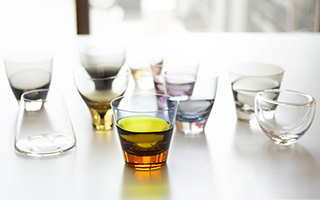 Unique and stylish glassware have been popular gifts as well. 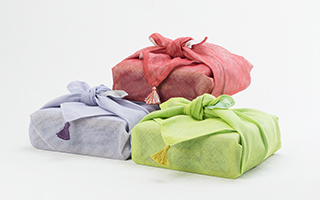 Imabari Kinsei towels are born from rich nature of Imabari and traditional skills of craftsmen. 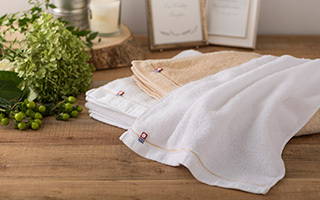 High quality towel gifts give comfortable life to your dearest people. Towels won Good Design Award in 2017. 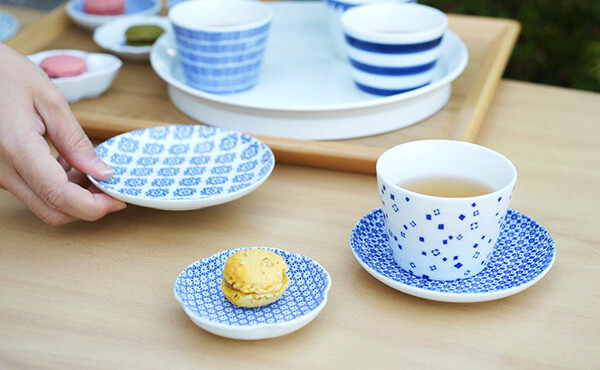 Craftsmen of Eiho porcelain have handed over the skill of the founder who was a master-hand at using pottery wheel. Its translucent thinness and lightness of porcelain attract people. They pursuit the white porcelain for the people’s life. SyuRo has its atelier in a town in Tokyo where has a lot of small factories. Their items are simple, stylish and can be used for a long time. They propose comfortable life to in and out of Japan. It is a studio of Echizen lacquerware established in 1905. 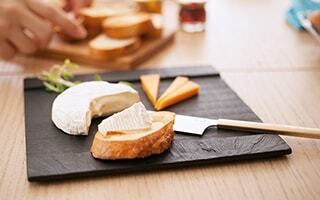 “Plain wood coat” that makes most use of wood grain of plain wood has been especially popular. 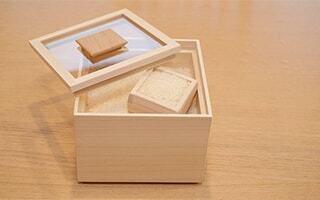 Jubako box that has both natural taste and traditional beauty is one of the representative products. 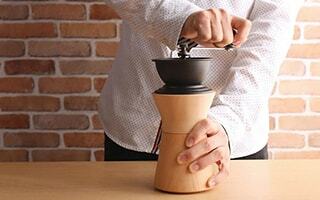 WDH suggests a high-quality lifestyle generated by the manufacture with Japanese traditional skills. You can enjoy the change of their original items over the years. Beautiful items deepen the depth of your life. Amabro is a product brand of MURAKAMI ART corporation directed by an artist Amane Murakami. 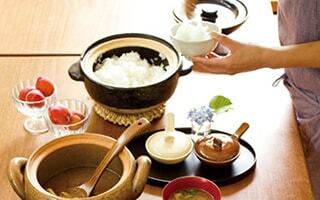 Under the theme of “Art of life”, they propose a life with Japanese traditions. NIKKO is a purveyor to the first-class hotels. 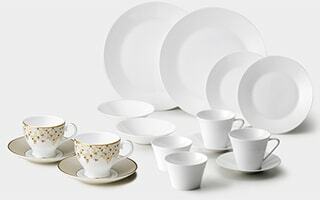 The beautiful white color of fine bone china makes every dish stand out. 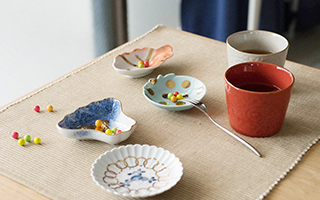 High-quality made in Japan tableware gets great reputations all over the world. 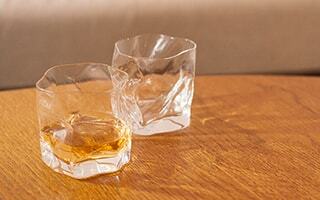 “fresco” is a glassware brand established by a glasswork craftsman Takeshi Tsujino. All glassware is hand blown glass. Each item has each beauty and individuality. 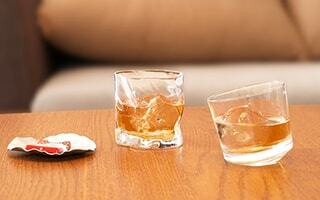 The glassware of fresco is stylish, but fit our daily life gently. 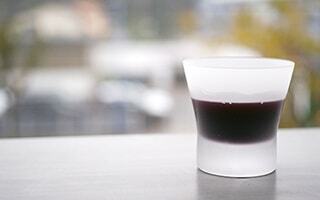 Kimura glass is good at high class glassware with usable and orthodox design. Professional cooks have loved their glassware for a long time. 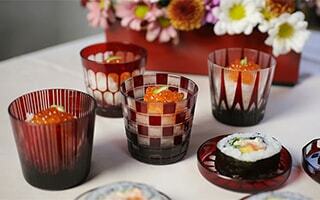 You can feel the assured quality and the skill of craftsman of Tokyo from its glassware. 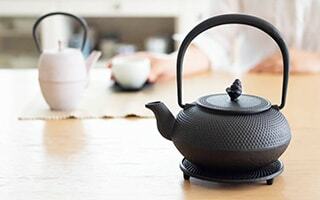 A mino yaki pottery SAKUZAN pursuits “beauty.” The tableware with beauty and usability makes daily life more comfortable. Craftsmen have inherited the high technique of Wajima-nuri for 4 generations. 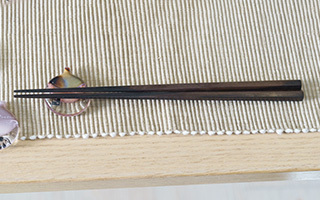 Skilled craftsmen produce high-class “Wajima lacquer chopsticks.” The chopsticks made of natural wood and lacquer won great reputations and won many awards. 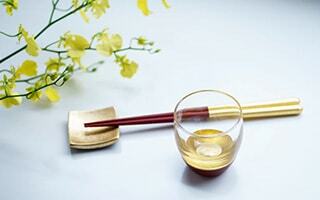 With their spirit of manufacturing, Hakuichi continues to develop new categories of the gold leaf. 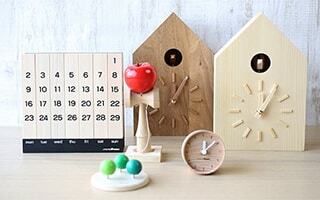 Their products are wide-ranging from small stationery to the decoration of architecture. 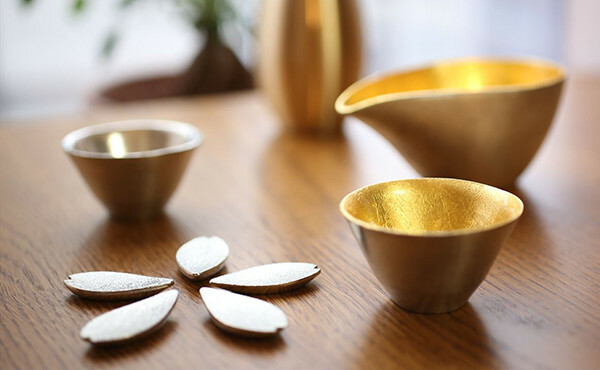 Hakuichi is active in the first line of gold leaf crafts. Oda Pottery seeks after “White porcelain” which is difficult to make. 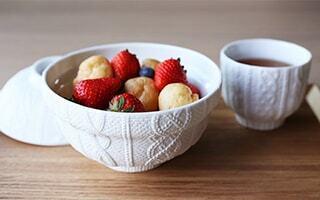 With sense and skill of craftsmen of Mino ware, they continue to create white porcelain. 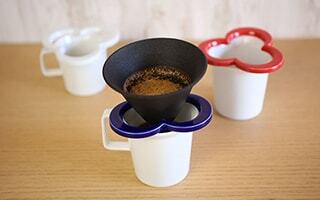 Their design expresses “modern Japanese” style and suits our life gently. Ideology of Nagatani-en is “dinner table is a forum of playing.” With long history from 1832, Nagatani-en tells Japanese food culture through Iga pottery. Roji Associates is an atelier located in Oshu city in Iwate prefecture. 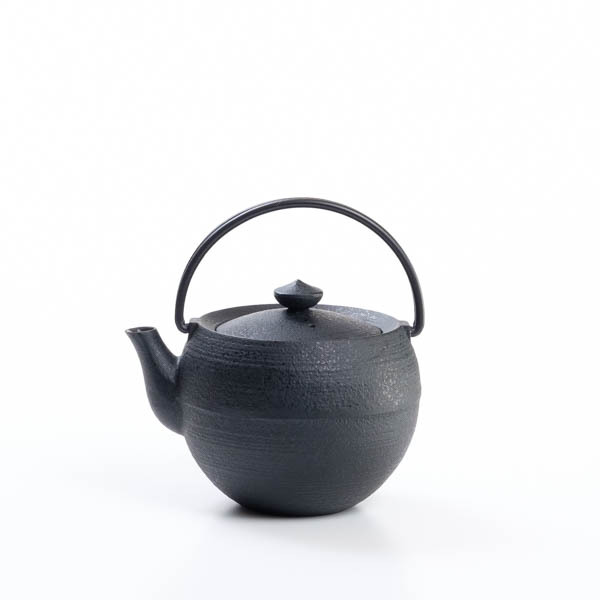 With inherited skill of Nambu tekki, Roji produces traditional but modern items. The more you use, the more you love the Nambu tekki. 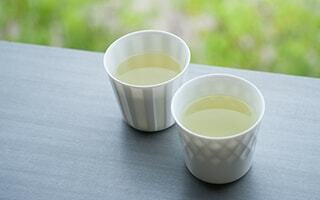 “We would like people to feel more familiar with Arita.” With this thought, KIHARA tells the traditional skill and aesthetic sense of Arita porcelain to modern life. 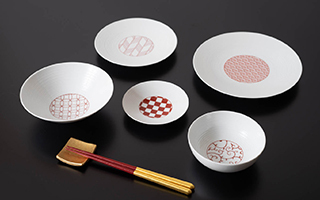 Designs with Japanese tradition color your dinner table. 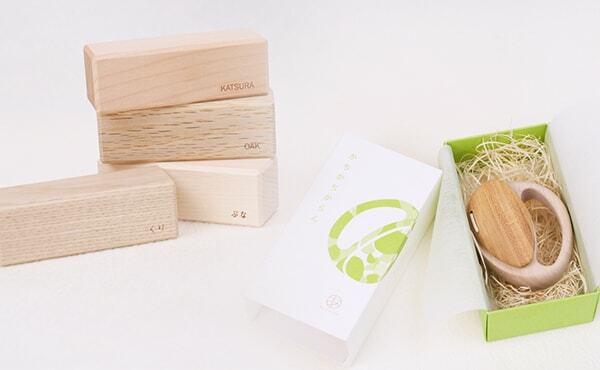 “Turning a 100-year-old tree into Products that last 100 years.” Oak Village produces wooden products made of Japanese lumber in Takayama city in Gifu prefecture. 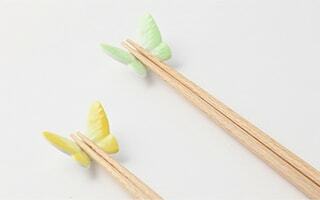 Their products keep the natural taste of wood. Oak Village makes the products stay close beside the environment and human. Anything is a maker of Japanese waist apron Maekake. It is in Toyohashi city of Aichi prefecture. 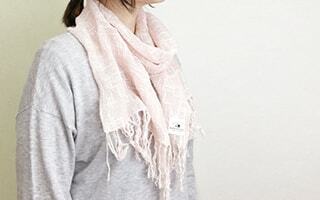 It is the only one maker which can produce Maekake apron from the weaving. They revived traditional Maekake. Now, Maekake aprons get great reputations from the world. It is a long-established store in Omi Hachiman city of Shiga prefecture. 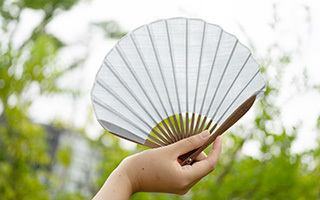 They propose Japanese masterpieces such as folding fans made of Omi Chijimi, a traditional linen of Shiga. 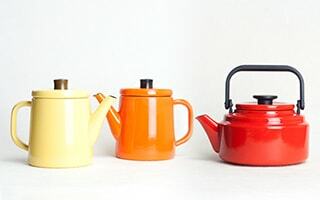 Noda Horo is famous for its enamel kitchenware such as kettles or stockers. Enamelware does not change the taste of food. And enamelware is hygiene. We collect daily use items for everyone. 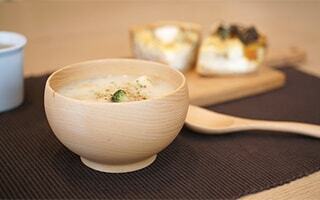 Sonobe is a brand of woodwork under the concept of “Japanese wood, Japanese handwork.” In elementary schools in Odawara city of Kanagawa prefecture, wooden soup bowls from Sonobe have been used for school lunch. Floyd states its mission as “To deliver emotion, surprise, and smile to people.” Their products have great design with playful mind. Floyd offers various suitable items for gifts. 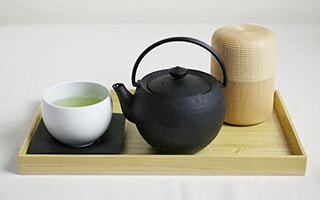 Black tableware "SUZURI" is an item that has been used in three-star restaurants. Innovative ideas and that make the dishes in the stone to use for the suzuri (inkstone).This brand has achieved exactly the "Japanese modern". 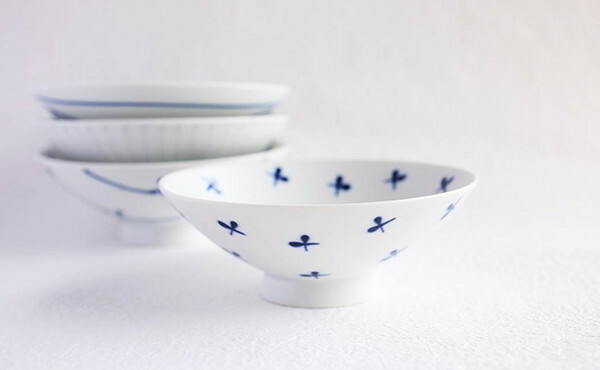 Hakusan Toki produces many long-sellers as a Hasami porcelain brand. We can feel new and nostalgic feeling in their design. their attractive deign is comfortable in use. We never fed up with the design. Not “New item”, but “item that renew your mind.” This is the concept of Wired Beans. Wired Beans is an only brand that offers “lifetime compensation” to their products. 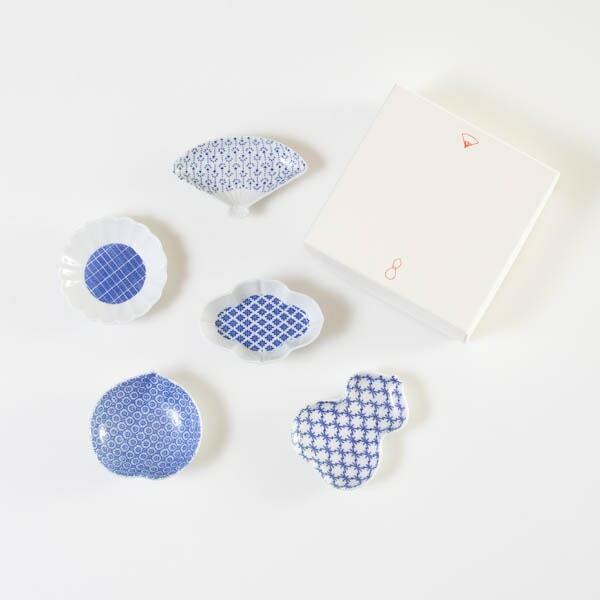 Japan Design Store proudly offers products of ceramic japan. 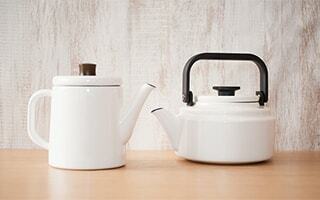 Their products are stylish ceramics with great design. CEMENT PRODUCE DESIGN is a designers’ group who wants to produce productions that “world looks a little better.” They arrange the production of local industries and traditional crafts to fit modern lifestyle. Sunao Lab is a natural brand under the concept of “live with ‘Fun’”. 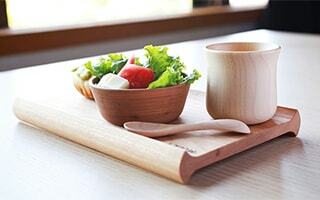 They offer solid wooden tableware and interior goods. 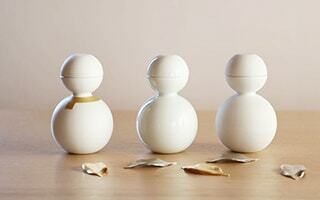 The wooden products of Sunao Lab make babies to adults smile. In response to the customer's desire to present a masterpiece of Made in Japan, it is a gift catalog that posted products of a notch above made in Japan. You can choose the gift you can use for a long time. 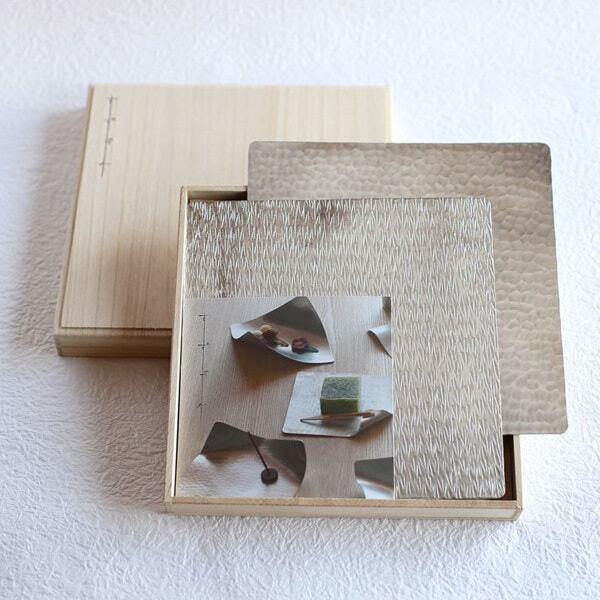 Masuda Kiribako is an atelier of paulownia box. It is in Koga city of Fukuoka prefecture. 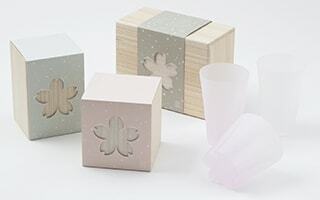 Masuda Kiribako makes the best use of paulownia, and create some items for contemporary lifestyle like rice storage box. 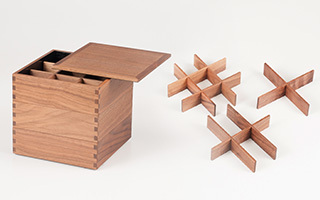 Their products are display storage boxes. 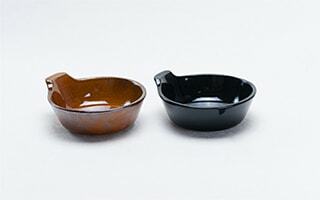 Wajima Kirimoto is a long-established brand of Wajima lacquerware. It has about 150 years’ history. 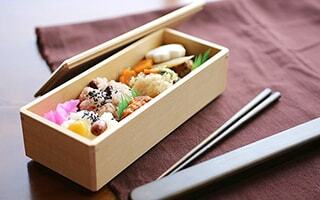 Traditional bento box has simple design and beautiful texture of white wood. 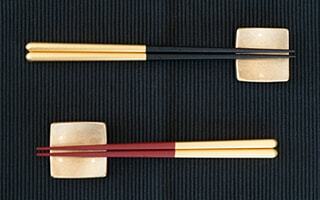 We can feel the skill and history of Wajima lacquerware from their products. Under the call of “more trees,” from the musician Ryuichi Sakamoto down, a forest conservative organization “more Trees” was established. 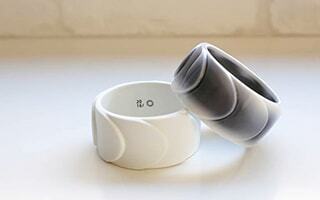 They collaborate with designers and ateliers around Japan and produce original products. Concept Crafts × Products. This brand has proposed an item with both the industrial product performance and the softness of carpentry craftsmanship. 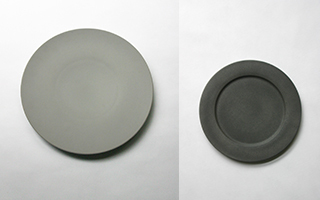 224 porcelain is a ceramic brand based on Hizen Yoshida ware. 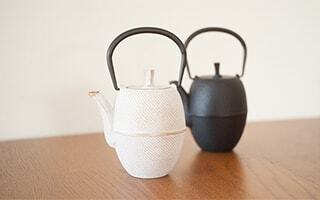 Hizen Yoshida porcelain is a craft in Saga prefecture. With the originalities of designers, they produce items with playful mind and usability. 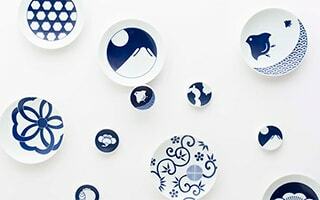 Here, we introduce Japan Design Store original items produced by taste of our buyers and skill of Japanese traditional craftsmen. Our original products realized the customers’ voice “I wish a product like this.” All items are filled with pursuit of design and usability. In Active Creators, we introduce highly sensitive items produced by creators who invent Japanese traditional crafts or handicrafts independently. You can find rare items that cannot be found in other shops.